Israel's culture minister asked the attorney general Sunday to order the investigation of a prominent Arab Israeli filmmaker who spoke out against the Jewish state during a visit to Lebanon. Mohammed Bakri, who is in Lebanon as part of the "Palestine Days" festival, reportedly said over the weekend that "normalization with the Zionist enemy is treason, and the debate surrounding it is disgraceful and totally unacceptable". Bakri called his presence in Lebanon, which is officially in a state of war with Israel, "a victory over (Israel's) racist laws", in remarks carried by the Lebanese newspaper Al Akhbar. 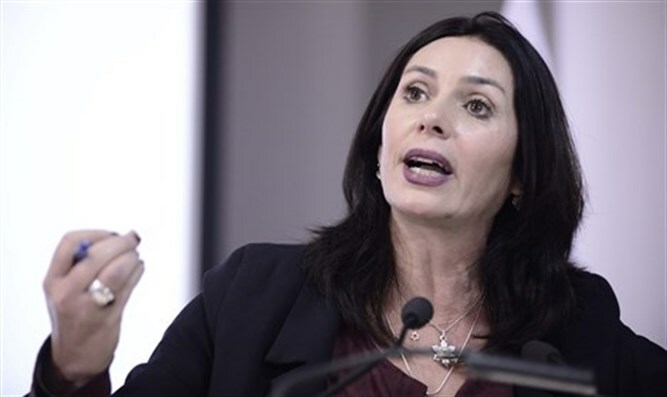 On Sunday, Culture Minister Miri Regev asked state attorney Avichai Mandelblit to launch an investigation against Bakri upon his return over visiting an enemy country and inciting against the state. "The absence of a firm response from law enforcement agencies would legitimize this type of unacceptable conduct," Regev wrote in a letter. The justice ministry refused to comment on the issue. Bakri told Israel's Channel 2 television that he didn't "believe a word" Regev said. "I don't take her seriously," he said, claiming that he was not afraid of being arrested. In recent days, Regev has lashed out against a new film, "Foxtrot", which won the grand jury prize at the Venice film festival as well as Israel's best film award, making it eligible for the Oscars. Regev accused the film of "choosing to lie about the Israeli army," and vowed to change how public funds are allocated to the cinema industry. "I, as a minister in the Israeli government and as a mother of children who served in the IDF, am ashamed of the fact that the Israeli Academy of Film and Television places as our candidate for the Academy Awards a film that chose to lie about the Israel Defense Forces," she said. "I can only apologize to the IDF soldiers and their families. They do not deserve this. And as I said today, the distribution of government funding in the field of cinema will change," Regev added.